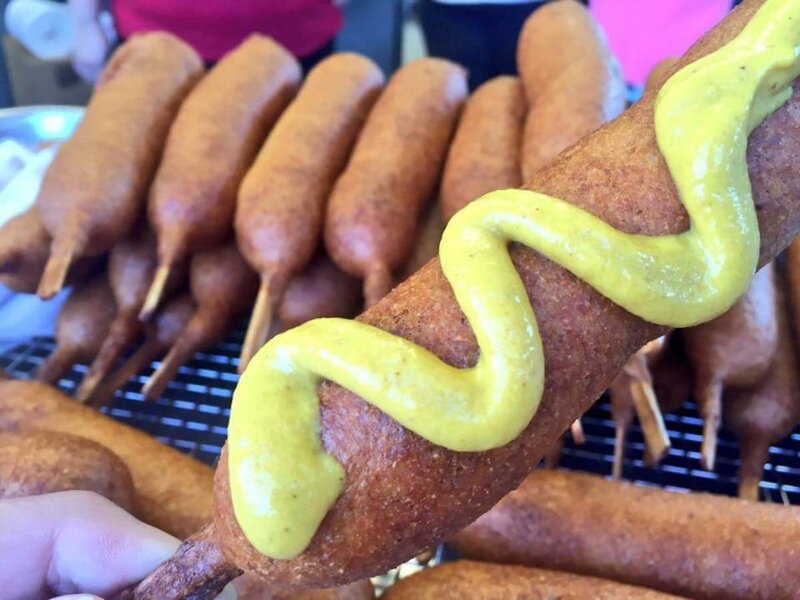 The most beloved food vendor at the State Fair of Texas has another corny dog up its sleeve. Just in time for the 2018 season of the State Fair of Texas, Fletcher's Original Corny Dogs, maker of the trademark hot dog enclosed in a cornmeal crust, is introducing a new item sure to please those who say cheese. It's nicknamed the Cheezy Pup, and it's a corny dog filled with exactly what you might guess: a center of soft, melting cheese. The Cheezy Pup builds on the success Fletcher's enjoyed with its groundbreaking 2015 invention, the veggie corny dog, representing a second option for vegetarians. But proprietor GG Fletcher says they have another audience in mind, as well. "We saw this not only as another option for someone who doesn't eat meat but also for children, who like grilled cheese," she says. They're using soft-melt American cheese. "It's an all cheese corny dog," she says. "It tastes really good — almost like a fried grilled cheese sandwich. We started playing around with it on the 4th of July, and everyone has loved it." 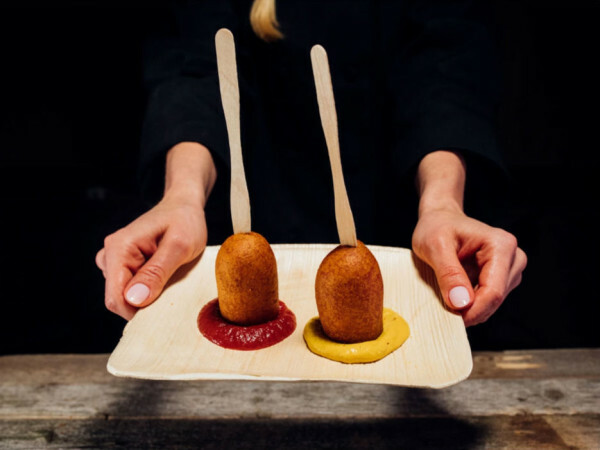 The Cheezy Pup joins Fletcher's lineup that includes the original corny dog; the turkey corny dog; the jalapeno and cheese corny dog; and the veggie dog. "Cheezy by definition means 'corny,' and we used 'Pup' because this is a smaller size than our regular corny dog," GG says. Their jalapeno and cheese dog has cheese, too, but in that offering, the cheese is tucked inside the center of the hot dog. Making the Cheezy Pup requires a little more preparation. "We had to get a cutter that cuts the cheese into the right size so that we could fit it on a stick and still have the corn meal crust," she says. "The cheese expands and melts right into that coating." They'll sell it at two locations only: in their Vintage Concession Trailer in the Thrillway area at 1501 Coliseum Dr.; and at the edge of the Midway at 3828 MLK Blvd. in their permanent Red Building. "It takes a little more counter space, so we can't have it at all our locations," she says. The 2018 fair begins on September 28. Another change for Fletcher's this year is the addition of a patio at their booth on the Midway in the Game lineup at 1400 The Midway, at the intersection of Midway and MLK Boulevard. "It's one of our larger stands, so we're cutting it in half and creating a patio area," she says. "We weren't using all that space so it makes perfect sense. 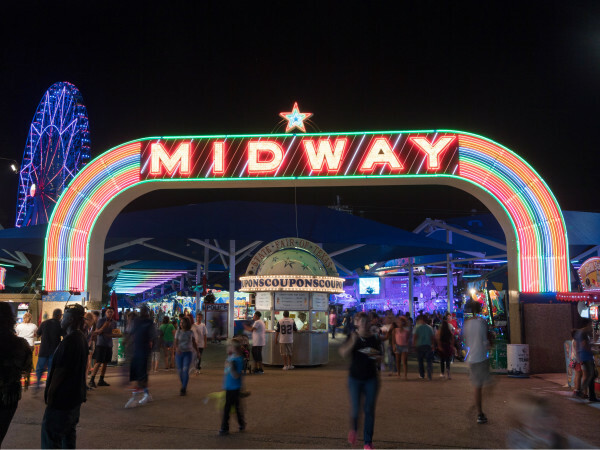 There's not a lot of seating on the Midway, you have a whole line of games and we're at the end of it. So we're adding little café-style tables and chairs, with a canvas backdrop of some of our old photos and memorabilia." They've managed to stay innovative every year. 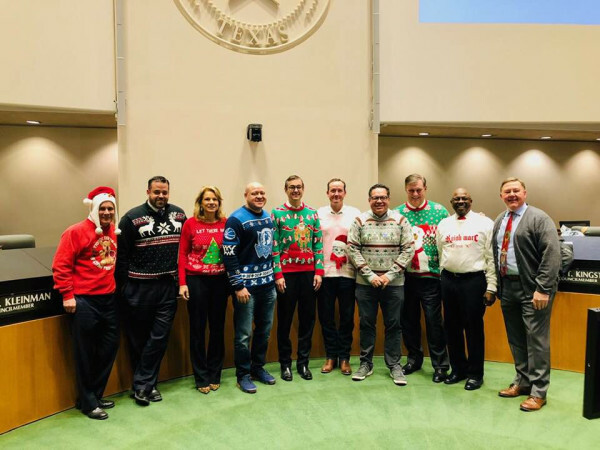 In 2017, they designed a mural to hang in the Tower Building at Fair Park, commemorating Fletcher's history with the State Fair and paying tribute to Neil Fletcher Sr, and GG's husband, Neil Jr, aka "Skip," who died in January 2017. But the corny dog remains their bread and butter. "We don't even sell French fries," she says. "We try to keep everything on a stick. That's what we do, we don't want to get too far off. 'Just stick to your knittin',' as Skip used to say."